Why might a soft drink freeze when you open it? Remember that the freezing point of a solution is decreased by having anything dissolved in it. When a soft drink is opened and CO2 rushes out, less CO2 is present in the solution, causing the freezing point of the solution to increase. So at a constant temperature, the increase in freezing point causes the soda to freeze. If you haven’t seen this happen, you can try to make it happen by placing a soda in the freezer for a while, but be careful not to leave it in too long or it might explode! 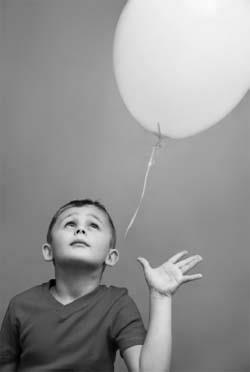 Helium balloons float because the gas inside the balloon is much less dense than the surrounding atmosphere.